Kitty L. Cone, of Hoover, went to be with the Lord, Saturday, December 1, 2018, at the age of 93. 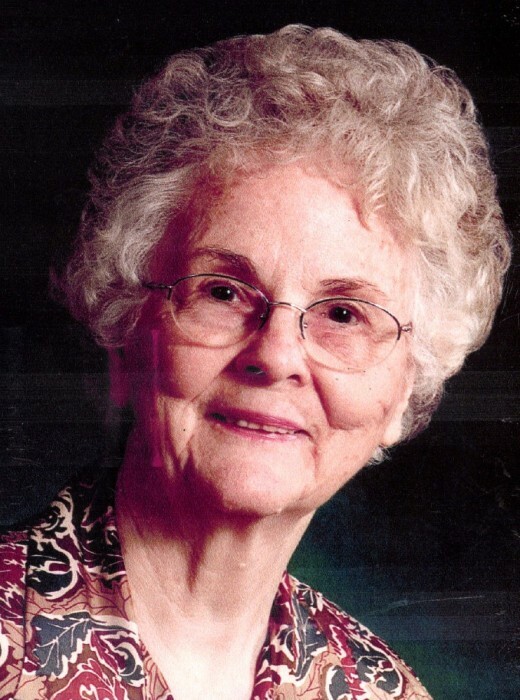 She was a long time member of Green Valley Baptist Church, where she taught Sunday School and sang in the choir. She is preceded in death by her husband of 67 years, Vernon Cone. She is survived by her 5 daughters, Kathy Purvis (Vic), Mary Rasberry (Johnny), Sue Underwood (Wayne), Sally Martin (Jed), and Carol Reed (Keith); 12 grandchildren; 14 great grandchildren, and a number of nieces and nephews. The family will receive friends from 1-2, Tuesday, December 4, 2018, at Currie-Jefferson Funeral Home, Hwy 150 in Hoover. Funeral service will follow at 2 PM in the chapel, Marion "Bubba" Eubank officiating. Interment will be in Jefferson Memorial Gardens, South. The family would like to express their heartfelt thanks to Affinity Hospice and Helping Hearts Senior Care. In lieu of flowers, the family requests donations be made to Green Valley Baptist Church Building Fund.